So today I'm going to talk about menstruation, periods, the red tide or however else you chose to describe that rather icky time of the month. For something that so many people experience it still isn't talked about as often as it should be, so today I'm going to talk about my period and something that I do to make it a little less hellish! I think I was about 12 when I started my period, and at that point in history ( yes history! it was probably around 28 years ago after all!) it was still all a bit hush, hush, and any mention of it usually triggered a lot of snigger's, particularly from teen and preteen boys, I remember one particular occasion when the girls in my form were sent into the school hall for a little talk on our changing bodies and our new monthly visitor. I've got no problem with that all education is a plus, but if you know that you're going to be handing out boxes of tampons and booklets, at least let the girls take their bags with them! You can imagine what happened when we went back to classroom with our freebies in tow - embarrassment doesn't quite cover it! That's why I firmly believe that boys should be taught about periods - if you're a guy at some point in time you're probably going to either live with a woman, be it a mother, a sister or a partner, or even spend time with a member of the female species, so you're going to need to know how it all goes down. We need to break down that stigma, and make those times of the month easier for every woman. 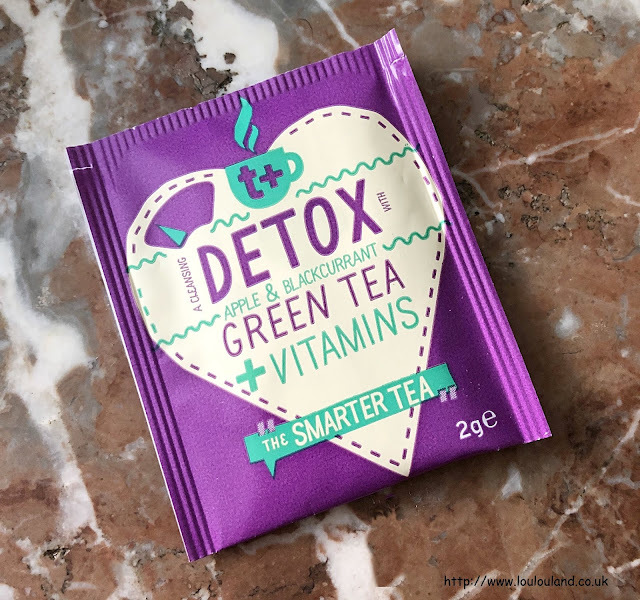 I don't know about you but my period is definitely a low point of month, I was on the pill for quite a few years, which worked wonders, my periods were short, light and virtually pain free - A couple of years ago though now I made the decision for certain health reasons to come off the pill, and as a result my periods are longer, heavier, and more painful, and my mood can change in a matter or seconds. Add horrid periods to chronic illness and you don't have the best of combinations. 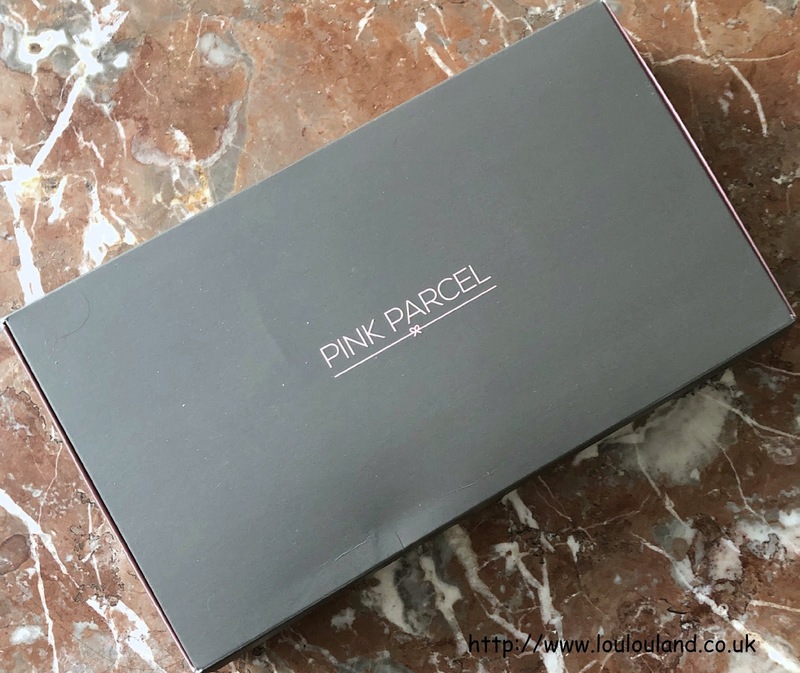 I'm not going to lie I dread it, and anything that I can do to make it even a tiny bit easier is therefore a godsend, and that's why I subscribe to Pink Parcel. Okay it reminds me that my periods on its way, but it gives me one less thing to think about at that time of the month. 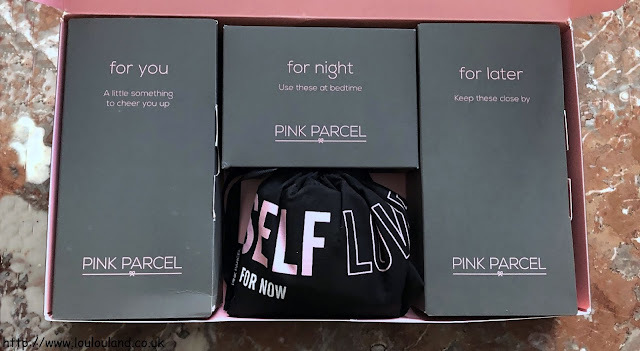 Pink Parcel is basically a period subscription box, all you need to do is answer a few questions about the dates and the average length of your period, and select the type of sanitary protection that you would like, and you will never need to make a late night visit to the 24 hour garage again! The people at Pink Parcel recognise though that periods can be pretty horrible so as well as sending you enough sanitary protection to cover your period, you also receive a little box filled with treats to cheer you up and to make the 5 days or so, just a little bit better. You mainly receive a selection of beauty and lifestyle products, ranging from skincare items, to make up, to jewellery and candles, and you always get something to snack on, such as biscuits, chocolate or sweeties, and either a tea bag or a hot drink sachet, and if you fall in love with the products inside you can can often buy them directly from the Pink Parcel Shop, which you can find on their website x (Check out my You Tube channel to see some previous unboxings x). There are a number of different subscription options, and you can put it on hold, and cancel your boxes quite easily. 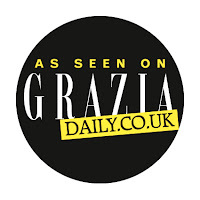 Like with Glossybox I just get the self renewing, monthly subscription which costs £10.50, but you can also subscribe for 3 months for £35.97, 6 months for £64.95 and for a full 12 months for £129.90. 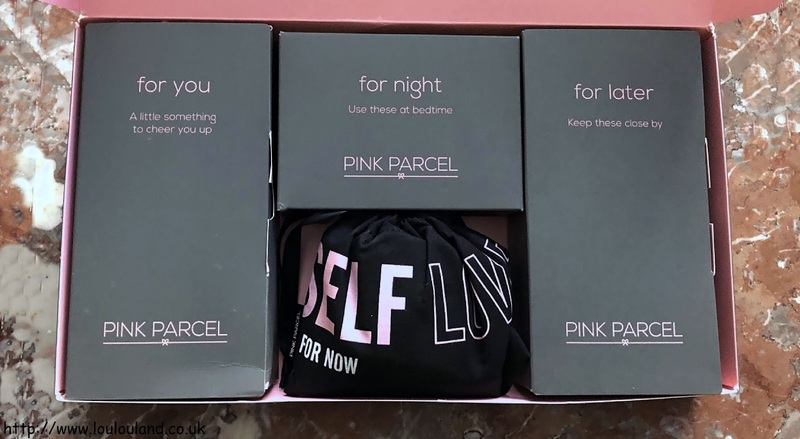 I love the concept and since I started subscribing it'd definitely gave me one less thing to worry about but I'm going to be honest with you and say that I've had a few emails from Pink Parcel lately apologising for various things, and talking about changes and restructuring within the company, and changes to the box itself, so apparently in February we will be getting a new and revamped box, which is probably just as well because to be honest January's box was a bit confusing and a bit of a let down. Now in theory Pink Parcel's boxes fit through the majority of letterboxes, and yes mine seems too but it always seems to look a bit squashed when it arrives, and according to some of the emails that I've received from Pink Parcel this is a common problem, so from February the box will be a little bit different and a bit sturdier. The current box is made from a very thin card, so to be honest I usually just stick it straight in the recycling so something reusable would be a bonus. Immediately on pulling back the perforated tab and opening my box I realised that something was amiss. 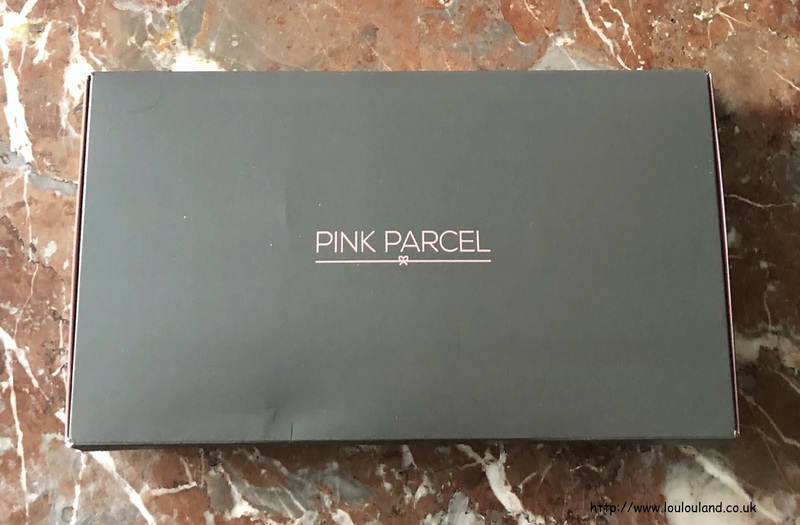 Normally the Pink Parcel box contains a booklet telling you the theme of the box and giving you a bit more information on some of the products inside but on this occasion it was missing! The rest of the box looked normal and contained the usual 2 boxes and 1 fabric pouch containing sanitary protection. 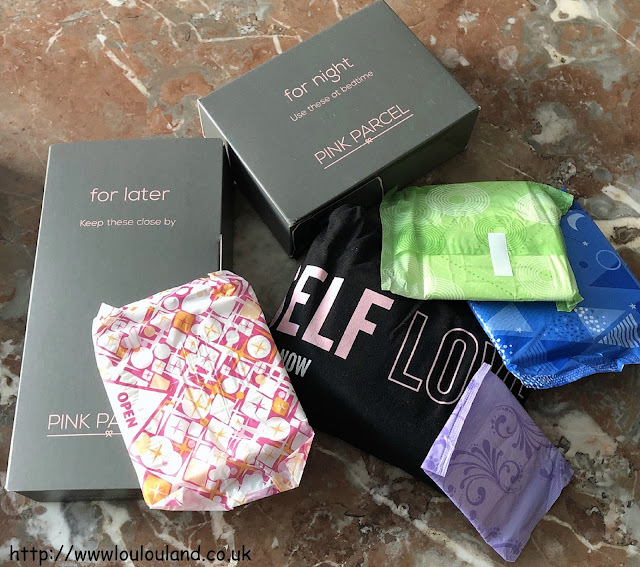 The "For Night" box contains extra absorbent products especially for nighttime use, the"For Later" box contains the bulk of your sanitary protection, and the fabric pouch is designed especially for your handbag or office drawer and contains usually some "normal' items and some pantyliners. As I say you can request different types of boxes and since I was running low on pads I requested a pads only box. Normally you will get say all Always or Bodyform products but I do seem to have got a mixture of both here, instead of the Always products that I requested but since the replacement products were all of the same absorbency it didn't really matter. Just to give you an idea of how much you'll get, I received 25 sanitary pads, and 5 pantyliners in my parcel. 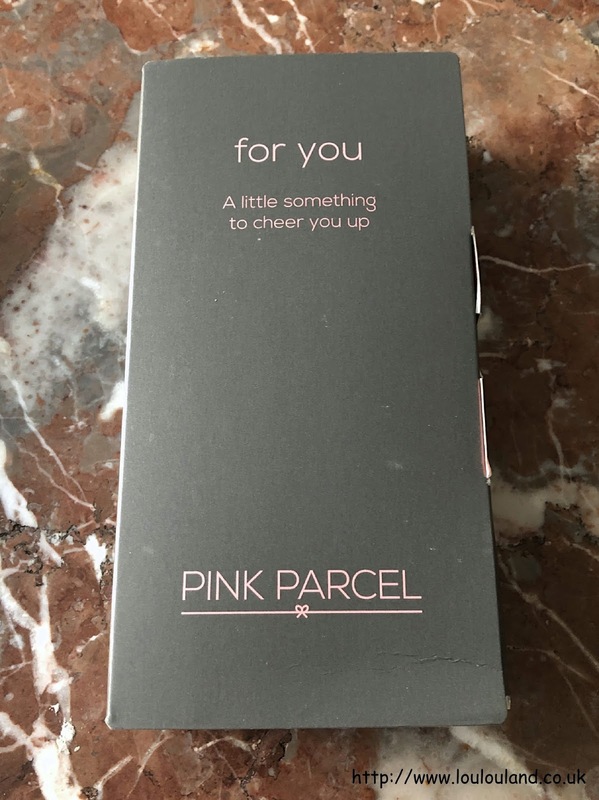 Now as I say periods aren't really something to look forward but in some ways I always seem to look forward to this little pink and grey box with the words "For You A Little Something To Cheer You Up" printed on it that comes inside my Pink Parcel. Pink Parcel by their own admission isn't a beauty box but you do normally a good variety of items including beauty products in your box. That said for me the word variety couldn't really be used about January's box, it was a definite let down compared to pretty much every other box I'd had from them, there didn't seem to be any theme, and it seemed to be made up of leftover products, I mean 3 face masks in one box really? First up a full sized face mask from Beauty Pro's Natura brand. I've said this before I love a face mask, and as well as helping with any skin irritation at that time of the month, face masks are a great tool to aid relaxation, just pop a mask on and zone out for 15 minutes. 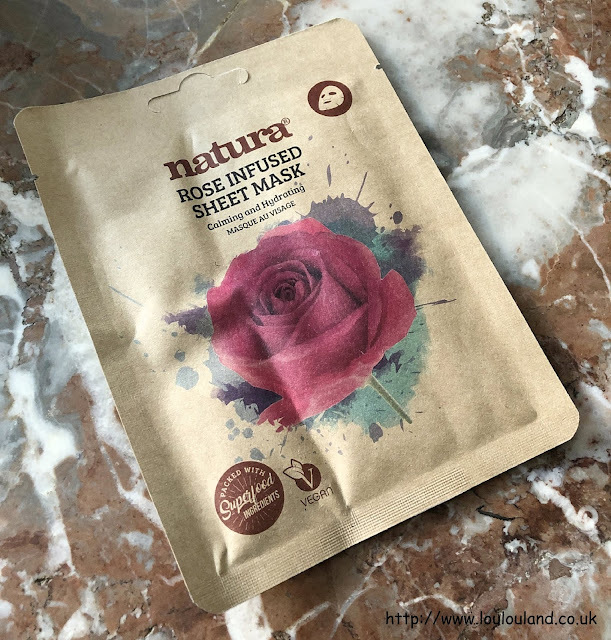 Next another face mask and another one from Beauty Pro, on the Pink Parcel website they advise that you use this mask first and then the Natura mask, so I guess we've got to give them that one I suppose for giving us a mini skincare routine. 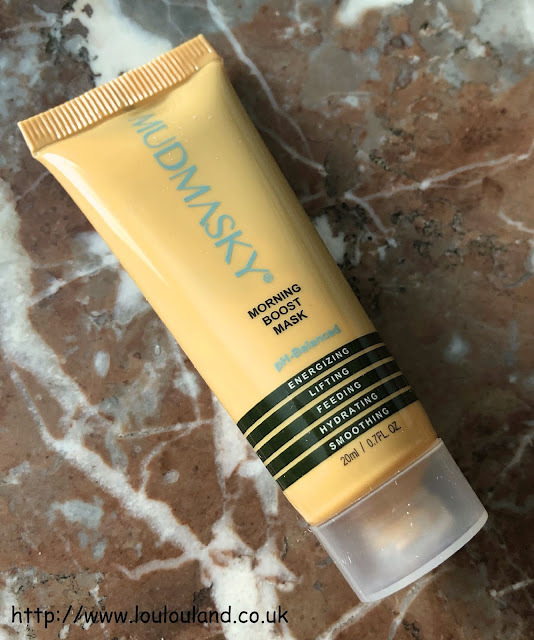 Based on the picture I think it's one of those super effective, but quite painful peel off masks, designed to detoxify, re balance and exfoliate the skin, it also claims to re balance oil production, and improve skin tone. 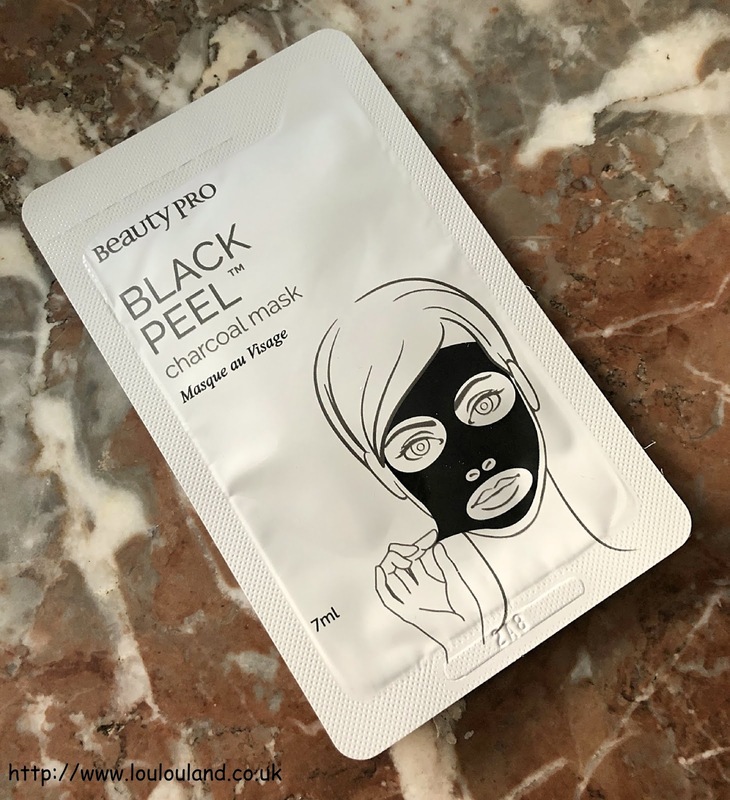 It contains charcoal powder, fruit extracts, lavender, tea tree, ginkgo biloba, and deep sea water, and is free from mineral oils, lanolin, parabens, and petroleum. My skin is just a touch sensitive at the moment so I'm going to stick this in the drawer and attack my pores at a later date. This mask normally comes in a pack of 3. Next something else that seems quite familiar x I've tried a few Percy & Reed products before that I've received in various subscription boxes and I've usually been pretty impressed x This is a dry shampoo which means it's designed to soak up extra oil, and aid styling, whilst at the same time fragrancing the hair. 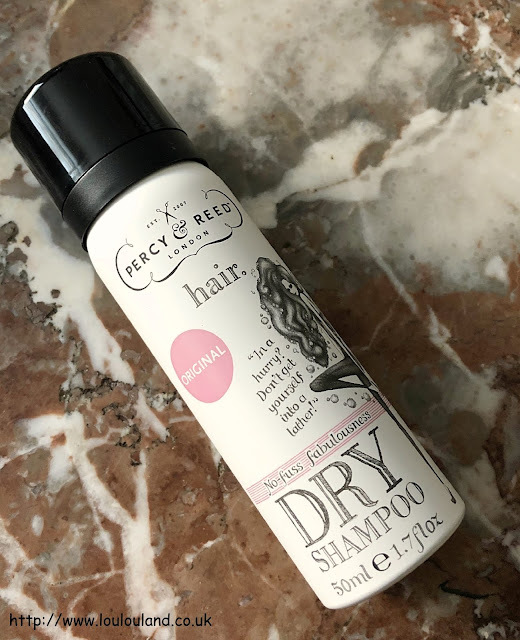 I do love a dry shampoo but since I currently have about 3 or 4 on the go at the moment, and a few more stuffed in a drawer it might a while before I use this one. 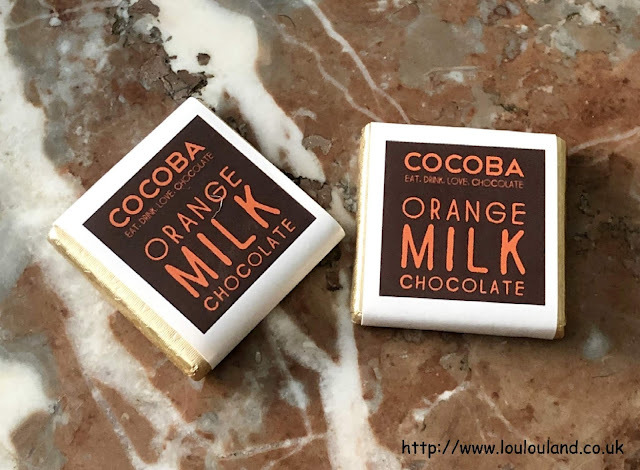 I do like the travel size though so it may end up making a slightly earlier appearance in my handbag or my travel bag. From what I can gather this seems to be the most expensive product in the box, I can't find this exact packaging but the same size product in different packaging retails at a pretty hefty £29.50. 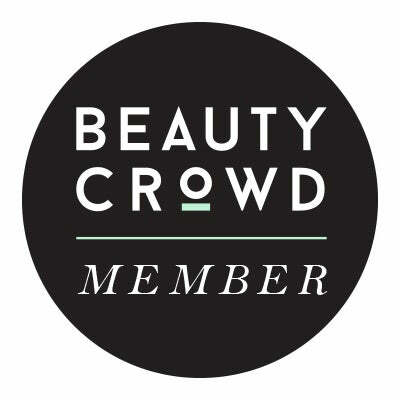 Now I know for a fact I've received something from this brand before in a subscription box but whether or not it was this product I can't be sure - maybe I should brave my skincare box and have a proper sort out, if it's getting to the stage I don't know what I already own - eek! 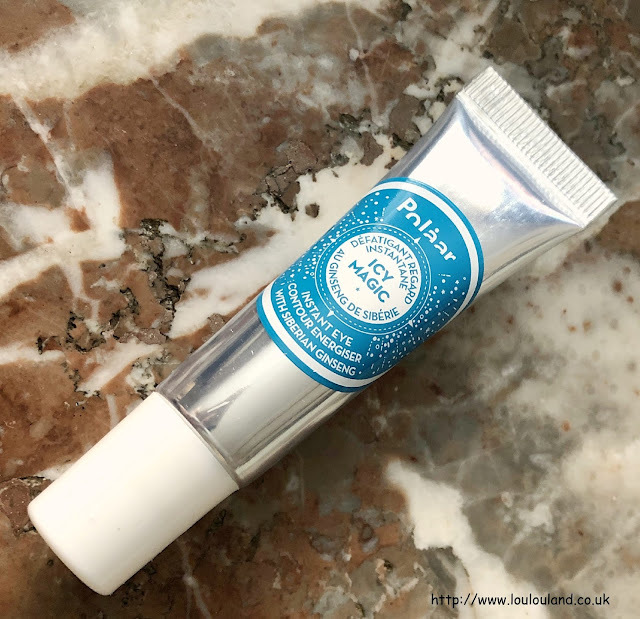 Anyways Polaar are a skincare company that draws their inspiration and their ingredients from the polar regions of the Arctic, and Antarctic, and one of the main ingredients in this product is Siberian Ginseng which tones and brightens the skin, and it also contains pro-vitamins and peptides. 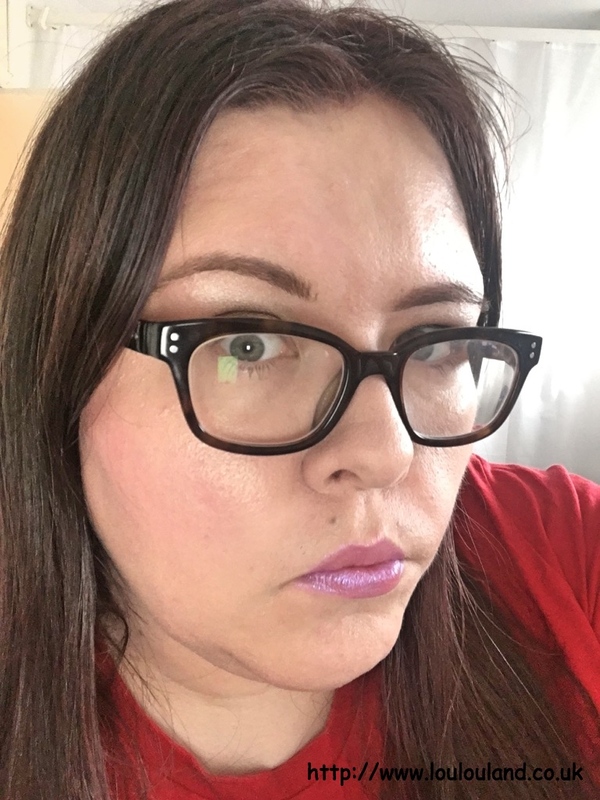 Okay, maybe I've was a little bit harsh about this box at the beginning of this post because after doing a little bit research the value seems pretty decent, and I will probably end up using all of the beauty products at some point. It's a funny one the value is there but the box just doesn't seem to have been that well thought out, and it does seem as though it was put together with products that they had lying around without any aim or theme hmmm.